You must make reservations at least 5 minutes in advance of the time at Tsunami Restaurant - South Jordan. Complimentary parking directly adjacent to restaurant. Our two private dining rooms provide beautifully appointed spaces that are perfect for family celebrations, corporate meetings, rehearsal dinners, holiday parties and all types of special events. 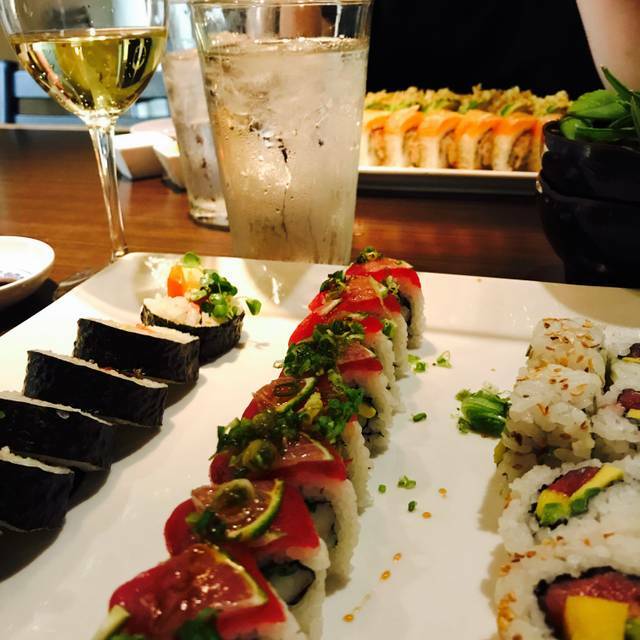 Tsunami - Riverpark is a one of a kind restaurant. While we continue the Tsunami tradition, we also offer a unique atmosphere which includes a sushi lounge, private party room, sake bar (full service), large party capacity, and beautiful interior design. We have a passion for delicious, fresh food and exceptional service. We look forward to serving you soon! Great service, Server was sgteat too. Always happy when we leave your establishment. Thank you! We're happy when our guests leave happy! Sushi here never disappoints. Some delicious sake as well. Thank you, Layla. 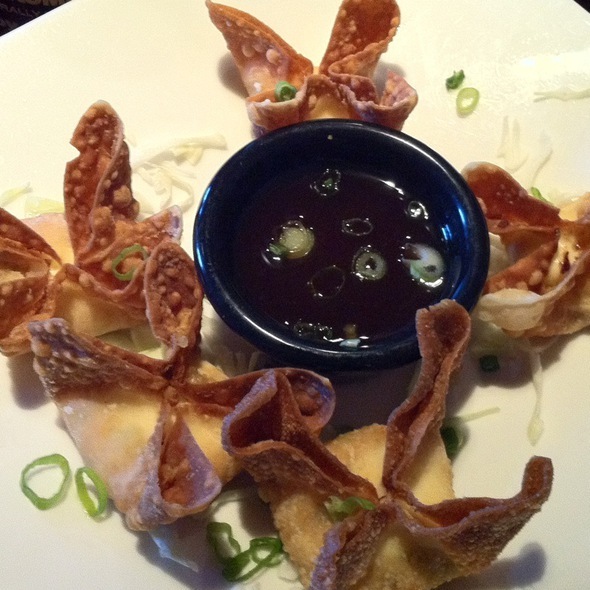 We also offer some delicious non-sushi items that you might want to try. Tsunami is one of my favorite restaurants in Utah. 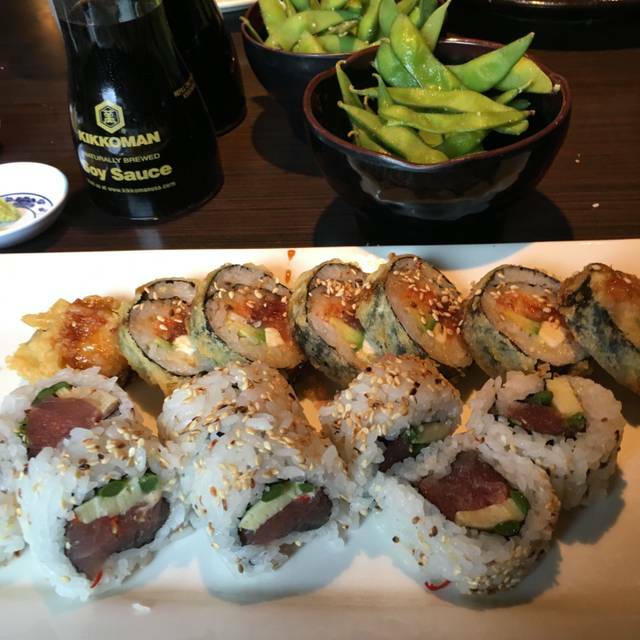 The sushi and other menu items are consistently delicious! Great service as always. Good food, Great time. Courtney was an excellent server. Very knowledgeable/ helpful and lots of fun. Forgot to offer us dessert...just gave us the bill. Our server was SLOW. Very nice but incredibly slow. We were visiting after we were done eating and they came and asked us to leave because the room we were in had been reserved for a private party. Very tacky in my opinion. The food is always good there though. While we are happy that you enjoyed your Tsunami meals, we apologize for the slow service that you received and our lack of hospitality. We will use your feedback as a learning tool for our staff and hope that we may have the pleasure of serving you again. Consistently great experience. Love the access with Open Table, especially on a Friday night. Tsunami was fantastic! 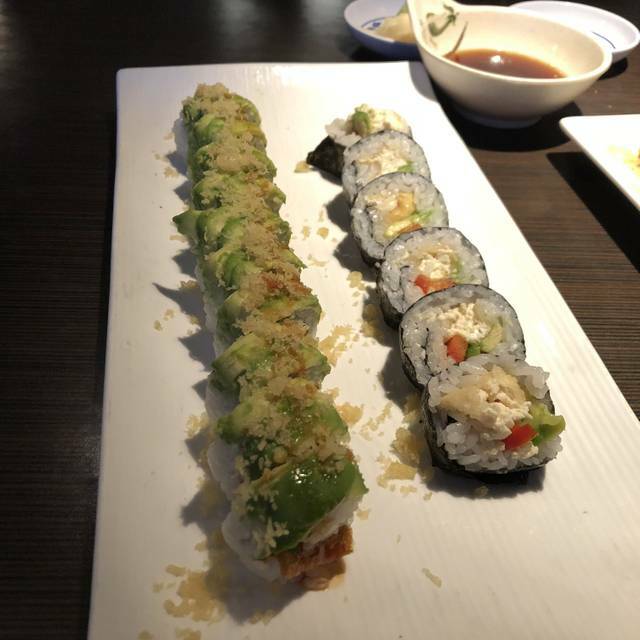 Some of the best sushi rolls I have ever had! Thank you for visiting us at our South Jordan Tsunami, Colby. We also have some great non-sushi options you might want to try on your next visit - such as our Tsunami Baby Back Ribs. This was the first time I haven't received Outstanding service at Tsunami. I was a bit surprised and disappointed. But, the food was still really good and we did get served. Dear Liberty- We apologize that your service was not up to our Tsunami standards, and promise to address your comments with our team to ensure that your experience is not repeated. We greatly appreciate your feedback and hope to see you again soon. Excellent food and excellent service by Bobby! Will definitely go again if ever visiting the area! Thank you, JJW. We will be sure to share your comments with Bobby, and hope to see you on your next visit to South Jordan. This place always has Great food and Great Service, and I would have gave it 5 stars, but the table we where put at was right where people are waiting to be seated, and the table was so wobbly I almost launched two glass of wine into the table next to us. Don't get me wrong he hostess noticed it after awhile and used a wedge so it wouldn't wobble any more, but the guy that sat us noticed it and didn't fix it. I will be back, but I hope not in the same table lol. George- We are sorry that your host did not fix your table when you were first seated, but are happy that someone rectified the problem. We will make sure that our managers check all of the tables to make sure that they are wobble-free! I love getting sushi from Tsunami. 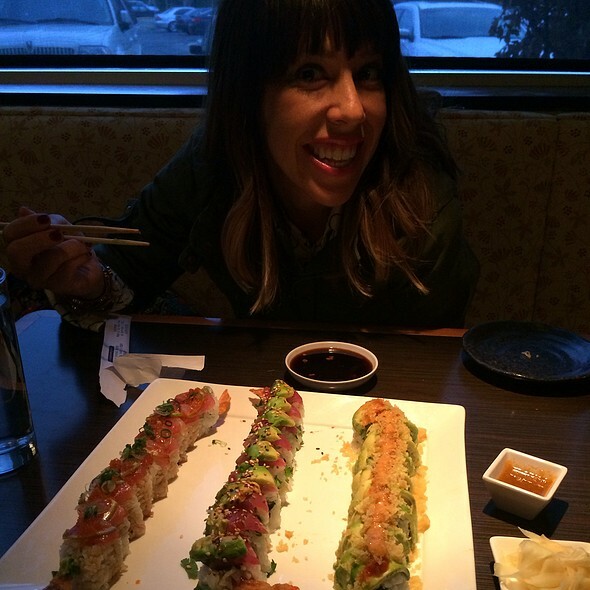 I usually get the caterpillar roll and they cut them to nice sizes for putting in your mouth. Some places cut them so wide You have no room for chewing. Tsunami in South Jordan does a great job. We eat there every other month. It would be more but we travel too much. 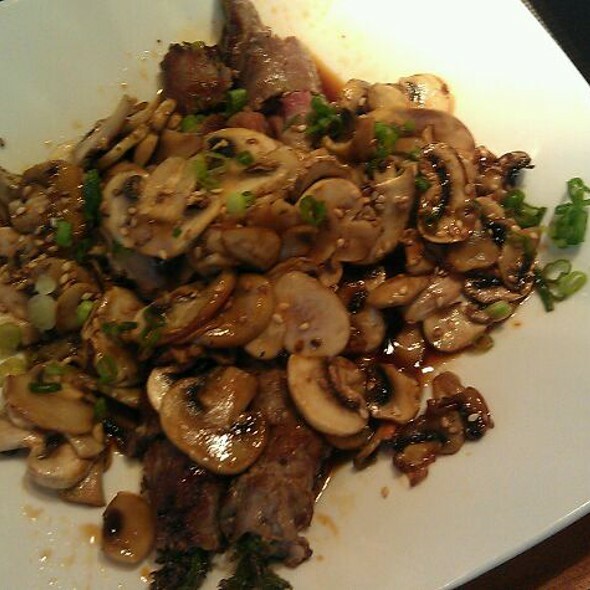 AnnaBelle- We appreciate being your go-to when you are in town, and hope to serve you again very soon! Tsunami in South Jordan is the nicest of their 3 SL valley locations. Food at all 3 locations is consistent an fantastic! Food and service was good. We were seated at our reserved time. I love the food at Tsunami and come here often. My complaint with this trip was with staff. I know Saturday night is busy but from the minute we sat down our waiter tried to hurry us. This is not a cheap meal and one that I don't like rushed especially when out with friends try to have a nice evening. He even brought us multiple drinks at once so he didn't have to come back to our table. Never came by to ask us how our food was just brought the check. Jsnordygirl- Thank you for your feedback. We apologize that you felt rushed - we train our servers to gauge the pace of a meal based on each guest, however, it sounds like your server did not do this and for that we are very sorry. We will also share your comments with our team to ensure that they are checking on each guest to ensure we are providing the level of service for which we are known. We hope to have the opportunity to serve you again soon. 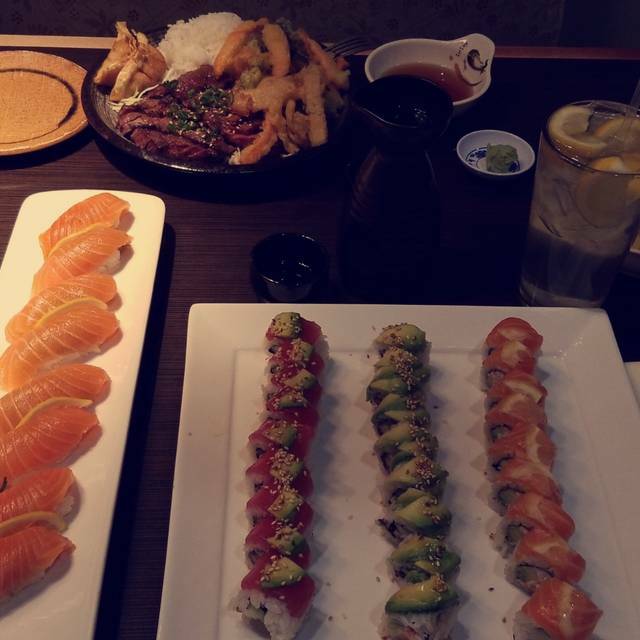 Tsunami has been our go to Sushi for the past 5 years. The Mrs and I have a standing date night once a month here. Something has changed recently with the quality of there food and service. We first started noticing the service has been slow and the servers are over booked. Management needs to hire additional help and qualified servers who know the menu. We found on this last trip the sushi was quick to come out which was great until we began eating. We ordered our favorites Executive and a Sunshine roll. They where not the same rolls, the fish did not taste fresh and the rolls where not constructed with the same quality of ingredients. They tasted horrible and a bit fishy. This is not typical. We ordered a 3rd roll “Fire breathing Dragon”. Which after one taste made us ask for the check and leave. That was the worst tasting roll ever tasted from any Sushi we have tried. We will try Tsunami one more time and hope this was just a fluke trip. Hopefully Tsunami will step up there quality and service or we will have to find another restaurant. YAtkin- Thank you for your comments. We appreciate hearing from guests such as yourself – even if the feedback is not positive. We believe that our service and food quality are imperative to the success of our company & work very hard toward that goal. Obviously, that has not been the case on your recent visits, and for that we apologize. We feel we have made some great improvements, and hope you will visit again to provide us with the opportunity to serve you. This restaurant is one of my absolute favorites. Services is good and reliable (which is hard to find in the area), ambiance is nice and the food is fabulous! 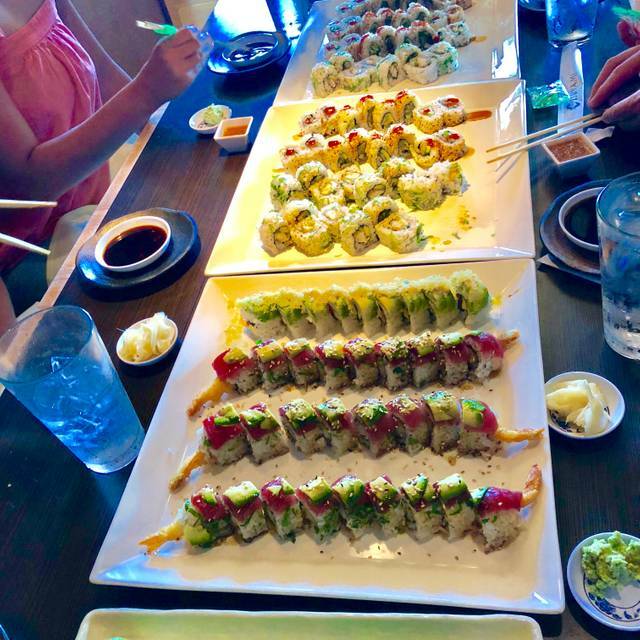 We even order out on occasion (it's that good). Love Tsunami! Food and service has always been great when coming in. It was my first time there and would have to say I will be back. The food was great and so were the people. We look forward to your becoming a regular Tsunami customer! Gluten free takes a little longer to prepare because they're really careful with cross contamination, which is truly appreciated. They have a killer gluten free menu! Thanks Leslie! We are very proud of our gluten free menu and the care with which we prepare our gluten free items. Great night with great friends! Love sushi and Tsunami! Our favorite for a reason. This place was packed for a Sunday, and I only make reference to the day because it’s almost as if they weren’t prepared for the rush. I love Tsunami, but on this particular day our service was absolutely horrible! Our waitress had no personality and just didn’t seem to want to be there. She gave our appetizer to the wrong table then pretended the kitchen never made it. Her aloof attitude just ruined the night and we couldn’t wait to get out of there. Dear Foodgrrl, Thank you for your feedback and please accept our apologies for the lackluster service that you received. We will check to make sure our staffing is sufficient for a Sunday, and will also share your comments with our service team to ensure that what you experienced is not repeated. We hope you will give us another opportunity to serve you. We enjoyed our visit at Tsunami! The food was Delicious and the service was Wonderful! It was our first time there although some of our party had been there before and recommended it to us! We will be going there again for sure!! We were a party of four all celebrating our birthdays. We had reservation and were seated immediately. The place was very busy. Our server was friendly but overwhelmed. Food came late, hot dishes were cold, and we did not receive the soup course that came with our entree. We requested the soup and another beverage, but they didn't come until the end of the night, brought by gen. Manager same time as the bill. 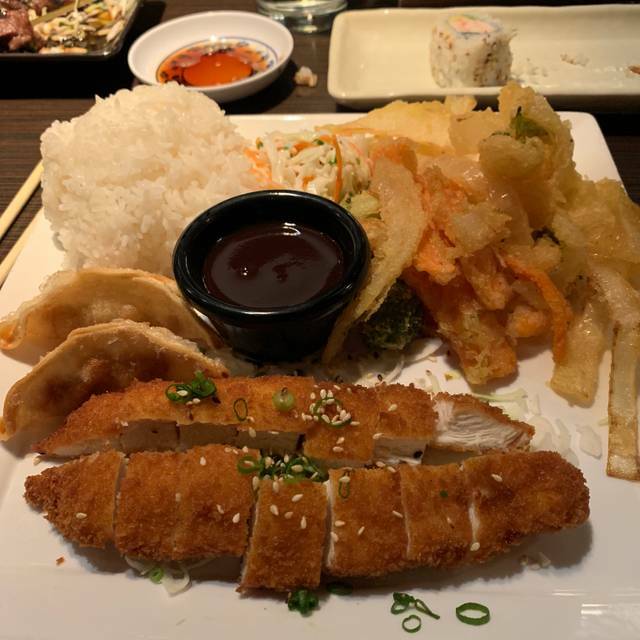 Normally the food is top not h, but my katsu chicken was dry and tepid. No dipping sauce for the gyoza. Over all a disappointing birth day dinner. This was my first visit and I must say that the restaurant lived up to the good reviews I read. Our service was excellent. The kitchen was very accommodating for one in our party with gluten issues. The food was very good, as well as the cocktails and wine. I highly recommend this restaurant. Waited 10 minutes for anyone to greet us when we sat down, waited another 10 min for our drinks. Wasn’t a fan of our server and his attitude. This place isn’t as good with service as it used to be. Andrea- Thank you for your feedback, and please accept our apologies that not only was your service not prompt, but that our hospitality was also lacking. We will be sure to address your comments with both our management and service teams to ensure that what you experienced is not repeated. We hope you will provide us with another opportunity to serve you in the very near future so that we may provide the high quality service for which we are known. Food was great, Molly our server was Awesome!! Tsunami is great - I go there at least 2-3x per month. Their rolls are absolutely fresh and delicious. My boyfriend is vegetarian and their veggie rolls are delicious as well (Hot Mamba, Honey Badger). My absolute favorite roll is the PD. I get it every time. Appetizers are great too - Miso Soup, Veggie tempura, garlic edamame - all delicious!! B- Thanks for being one of our great VIP guests! Great food and awesome service. The Team is great there. Food was amazing as usual! Our server, Shaun was very nice, but he may have been new. We asked for the happy hour menu, he said he wasn't sure they had one, because he never works happy hour. I ordered the chicken katsu entree and added on the salad for $1.99, he brought everything except the miso soup. I reminded him about the miso soup, he said it didn't come with my meal, we had to show him the menu. We got our check, he charged us $3.99 for my add on salad, instead of $1.99. He needed to adjust the check. DFKB - Sounds like your service was a bit inconsistent - we promise to work with Shaun to make sure he is up to speed on the menu. We hope to see you again soon. Great food! And great service!!!! Superb! My favorite sushi Reataurant by far. All of their locations have great sushi. Try the BTC roll without jalapeño.... it’s excellent.